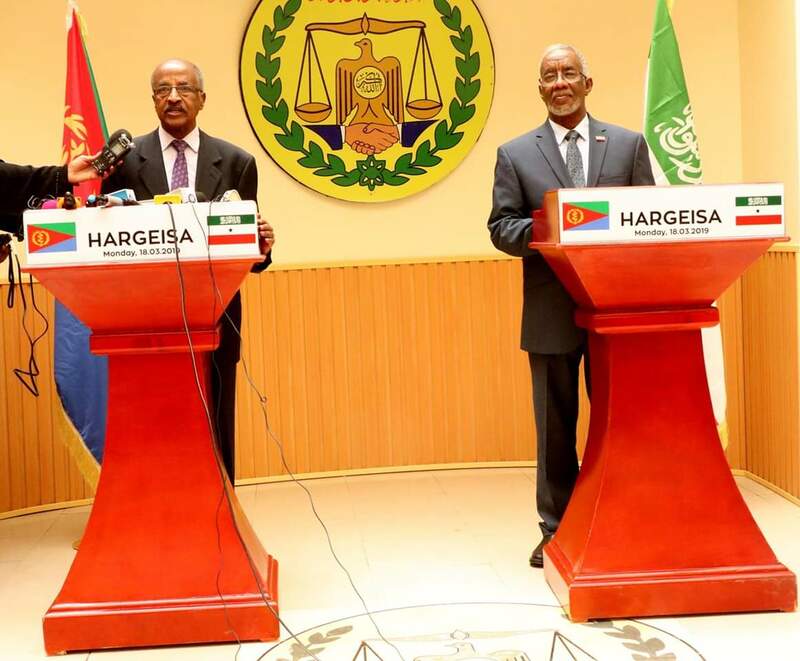 March 8, 2019: Eritrea’s Foreign Minister Osman Saleh and Presidential Adviser Yemane G/ab have arrived in Hargeisa today for a working visit and as part and parcel of ongoing concerted efforts to enhance regional peace. 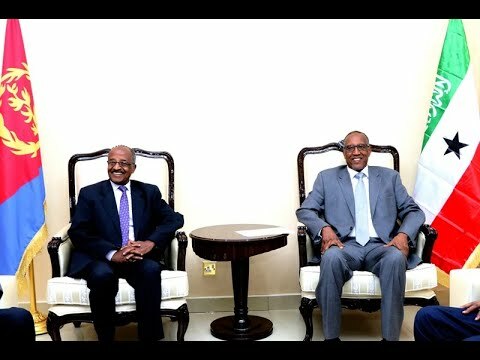 Eritrea’s delegation led by FM Osman Saleh met today in Hargeisa President Muse Bihi Abdi who expressed appreciation for the Eritrean initiative. The President briefed the delegation on the situation in, and the views of, Somaliland.